When people refer to a full spectrum sauna, they are talking about one that provides all three wavelengths of infrared heat: near, mid and far. Each one has its own benefits, with near having the least skin penetration and far IR the most. 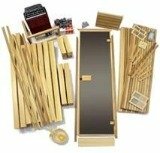 Most of the infrared saunas on the market today just have far infrared, which is the most widely studied and documented...however you will find some that offer one or both of the other wavelengths. What are the benefits of each? Infrared heat naturally occurs from the sun, and it is an invisible part of the sun's spectrum. It can penetrate your skin and provide heat within your body, as opposed to traditional electric or wood sauna units that heat up the room. As such infrared saunas operate at much lower temperatures, making them more tolerable for longer periods of time. There are endless debates in the sauna community about the benefits of a full spectrum sauna, and more pointedly near infrared heat vs far infrared heat. Some will tell you near IR is safer and more effective because it is more concentrated. Others will tell you that far IR is much more effective because it goes deeper into the skin, producing more profound benefits like detoxification, increased metabolism and pain relief, among others. The debate will probably go on forever, but here we provide a basic overview of far vs mid vs near IR. Near infrared, as we mentioned, offers the shallowest penetration, and benefits the skin, wounds, localized pain, etc. Mid IR goes a bit deeper, and can improve circulation, provide deeper pain relief and help with metabolism. Far infrared raises your body's core temperature, stimulating sweating for toxin removal, easing blood pressure and increasing metabolism. It can help reduce stress and offers increased relaxation. 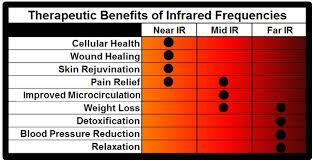 So each infrared wavelength provides its own unique health benefits, based on how deeply they penetrate the body's tissues. Suffice it to say, a good full spectrum sauna should provide you with more benefits than a far infrared one. 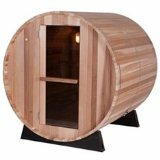 What's the best full spectrum sauna? 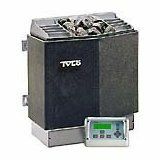 A sauna is only as good as its heaters, and just because a company claims to deliver all three infrared wavelengths doesnt' mean it goes. The industry is rife with companies making outrageous claims about their saunas, especially those that are simply resellers of poor quality units. That said, there are some standouts in the industry that do actually deliver. One of the leaders in the industry is Clearlight Saunas, which offers some of the best IR units on the market today. Their Sanctuary Full Spectrum Sauna line consists of 5 models featuring the True Wave heaters, giving you near, mid and far infrared heating the entire time. This system is more powerful than most of their competitors, giving you the maximum benefits. Another great company offering their own patented system is Sunlighten. 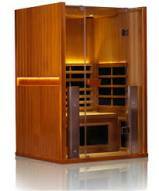 Their mPulse 3 in 1 saunas deliver all 3 wavelengths of infrared heating. What separate them is that you can actually choose which IR heat you desire in any combination: one, two or all three. So Clearlight gives you all three simultaneously, while Sunlighten gives you all three in any combination you choose. Which full spectrum sauna you choose is a matter of personal choice. Take a look at both and see which one appeals most to you.